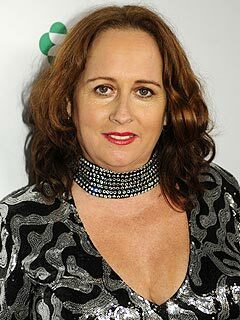 Grammy nominated R&B singer Teena Marie has died, CNN reports. She was 54. Marie, who rose to prominence in the '70 and '80s, was found dead by her daughter in her Los Angeles home on Sunday, according to her manager, Mike Gardner. The cause of death was not immediately known but Marie's publicist, Lynn Jeter, told CNN that she suffered a grand mal seizure a month ago. Born Marie Christine Brockert in Santa Monica, Calif., Marie released 13 studio albums over the course of her career, which spawned the 1984 hit "Lovergirl." She was signed to Motown Records in 1976 and was one of their most successful white artists. Marie is perhaps best known for her musical collaborations with the late funk legend Rick James. Ok this sounds crazy but, I loved her music but couldn't stand her voice at times. Does that make sense? Anyway RIP Teena your music was real music and it will be missed.